November 9, 2011, Auburn Hills, Mich. - Designed and built for the core performance enthusiast, the 2012 Dodge Charger SRT8 Super Bee makes its public debut at the 2011 Los Angeles Auto Show on Nov. 16. 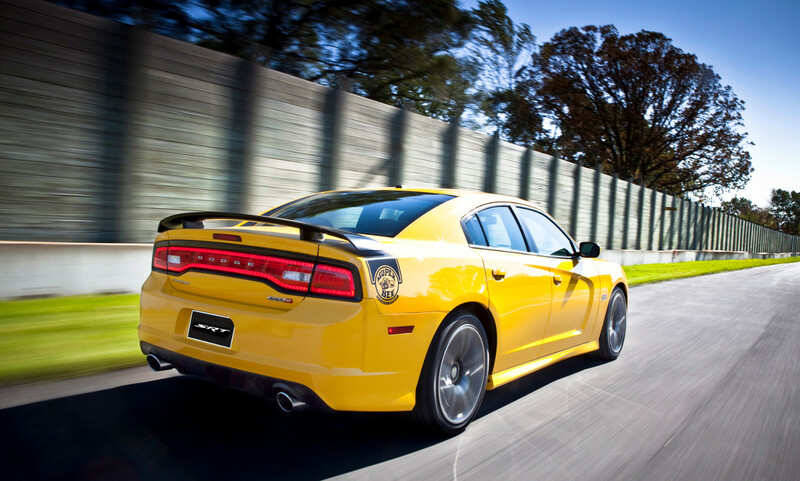 There is no mistaking the unreserved performance attitude of the 2012 Dodge Charger SRT8 Super Bee. Available in either Stinger Yellow or Pitch Black exterior paint with special Super Bee graphics, the exclusive models reflect a specially designed modern and extroverted interpretation of the legendary Super Bee performance built for the enthusiast who enjoys a vehicle with one mission in mind -- to go fast. "The 2012 Dodge Charger SRT8 Super Bee is a salute to the fun-loving past of Dodge muscle cars powered by the legendary 392 HEMI V-8 in a back-to-basics performance machine," Ralph Gilles, President and CEO - SRT and Motorsports said. Both front fenders tout the historically significant V-8 engine with .392 HEMI. badges first seen on the 2010 Dodge Challenger SRT8 392. Flanking both rear fenders are the legendary round Super Bee graphics, which now include the wording "Powered by SRT" to commemorate the modern incarnation of this celebrated performance icon. The 2012 Dodge Charger Super Bee is powered by the new 6.4-liter HEMI V-8 that delivers 45 more horsepower and 50 more lb.-ft. of torque than the 6.1-liter HEMI V-8 it replaces -- up 11 percent to 470 horsepower (351 kW) and up 12 percent to 470 (637 N.m) lb.-ft. of torque. Powered by the 6.1-liter HEMI V-8 producing 425 hp and 420 lb.-ft. of torque, the 2007 Dodge Charger SRT8 Super Bee was the first special edition Charger from SRT. Only 1,000 units were built for the 2007 model year.